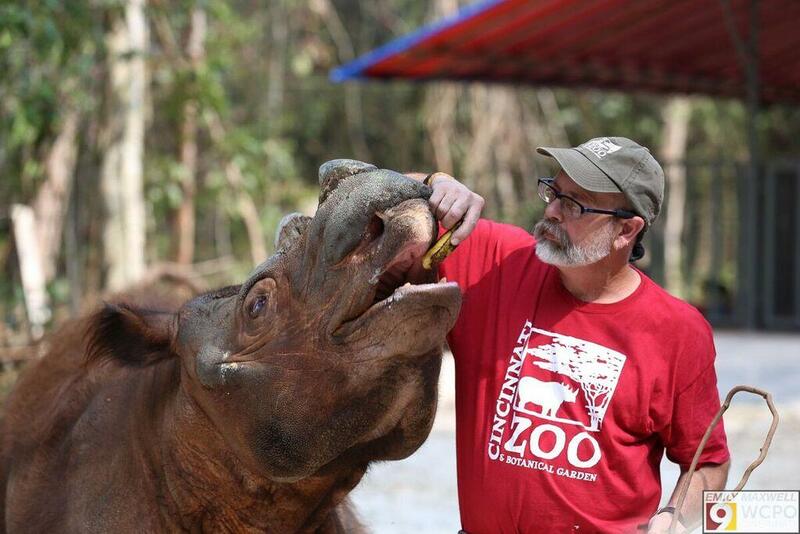 After arriving in the Sumatran Rhino Sanctuary, Harapan snacks on a banana with longtime keeper Paul Reinhart who has known Harapan since his birth at the Cincinnati Zoo, and made the 53-hour journey by his side. Cincinnati Zoo veterinarian Dr. Jenny Nollman walks with Harapan after arriving at his new home in Sumatra. Dr. Nollman accompanied Harapan, keeper Paul Reinhart, a zoo videographer and a local Cincinnati journalist on the 10,000 mile trip. 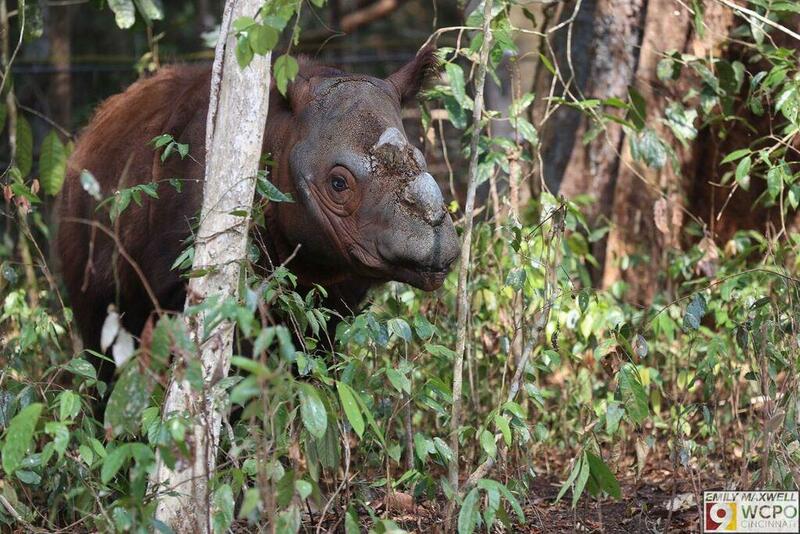 Happy at home, Harapan peeks out from his 25-acre private forested enclosure in the Sumatran Rhino Sanctuary, after his 10,000 mile, 53-hour trip from the Cincinnati Zoo, where he was born and largely raised. He is eight-years old. GO RHINO: Hear and see the complete interviews that went into this feature to learn more about Harapan, the Sumatran rhinoceros, and much more relating to all rhinos. See a short documentary video from the Cincinnati Zoo about the trip. See a similar video produced by WCPO, Cincinnati, whose journalist Emily Maxwell went along to cover the voyage. 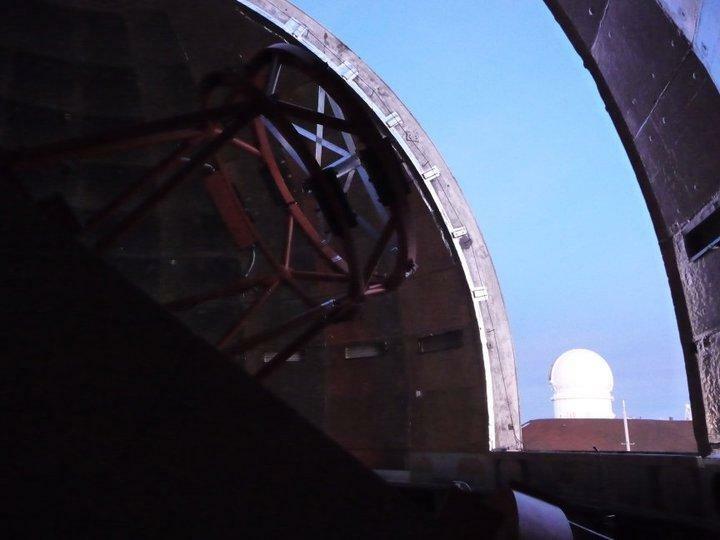 November 23 - 29, 2015 Stargazer: How about a little Space Mining on your Monday? This week we have a variety of planets to look for in our island skies, and a development relating to space mining as HPR All Things Considered Host Dave Lawrence speaks with Christopher Phillips from the Mauna Kea Astronomy Outreach Committee for this week’s Stargazer. 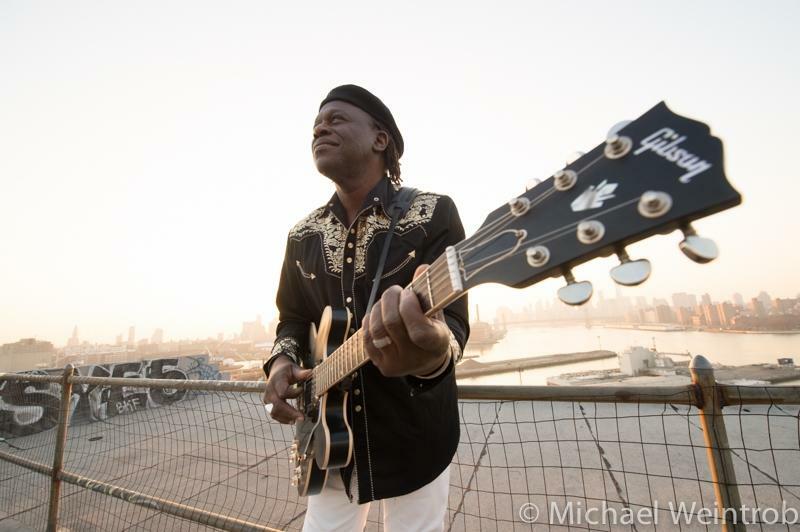 Musician Joe Louis Walker is back in the islands, performing as part of the O'ahu Jazz and Blues Festival. 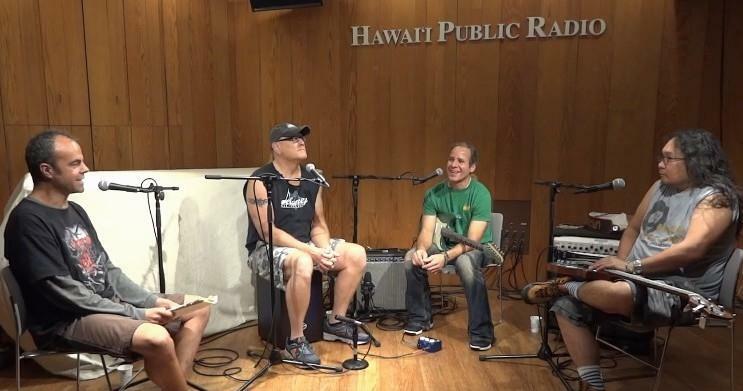 He took time for a call into HPR's All Things Considered with Honolulu Host Dave Lawrence. Blues rockers the Chris Duarte Group have been in the state, touring behind their latest album, Lucky 13. The Texas guitarist and his band played live in HPR's Atherton Performing Arts Studio as guests on All Things Considered with Dave Lawrence. 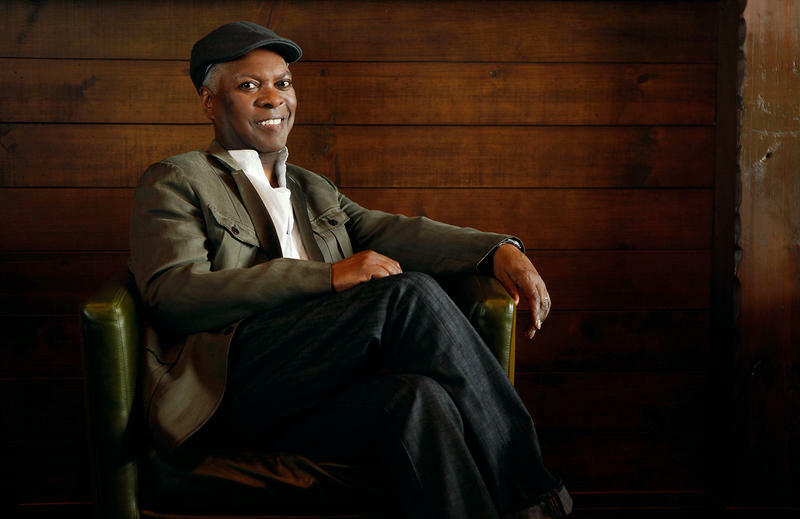 Booker T. Jones of Booker T & The M.G. 's is touring, supporting his latest album, Sound The Alarm. The Rock and Roll Hall of Famer, Grammy Lifetime Achievement Award winner, is performing as the headliner of the Hallowbaloo Music and Arts Festival Saturday, and at the MACC on Maui Thursday November 5th.